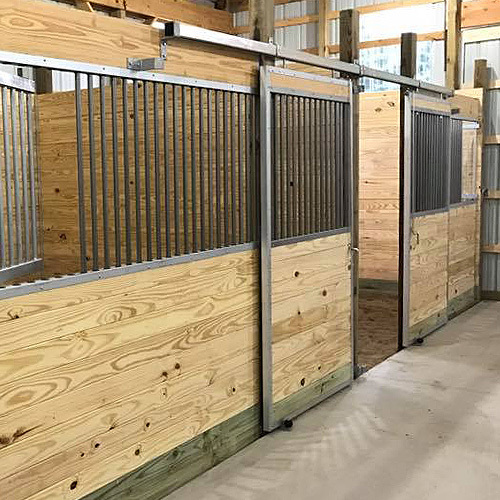 Feed doors add great functionality to any horse stall front. 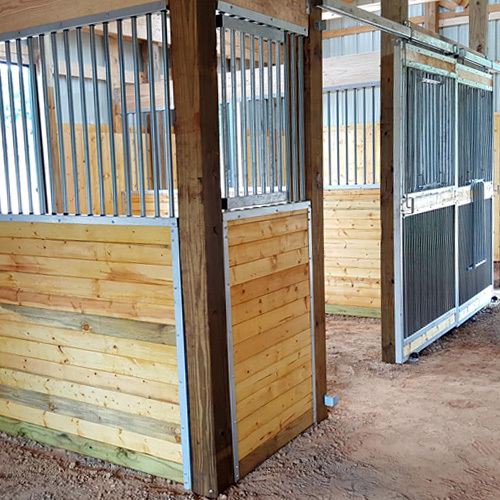 They eliminate having to enter the horse’s stall during feeding time throughout the day. 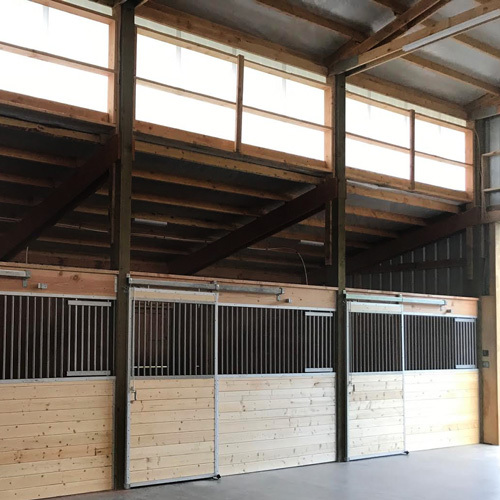 They can save you or your farm hands a great deal of time, especially when you have multiple horses that may require different feed amounts and supplements. 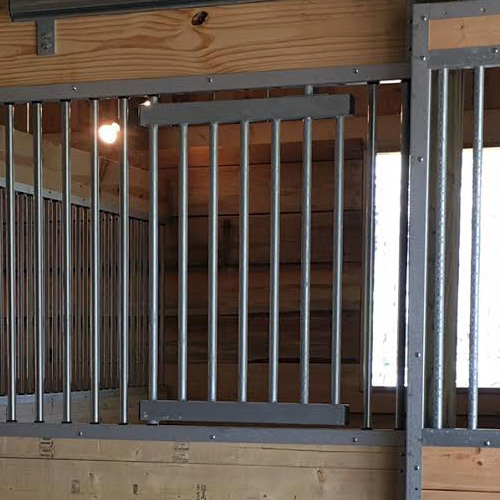 Our fully assembled feed door has a pull-down latch integrated into the bars. 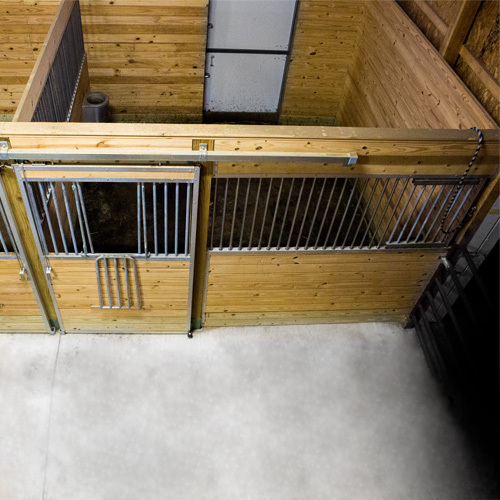 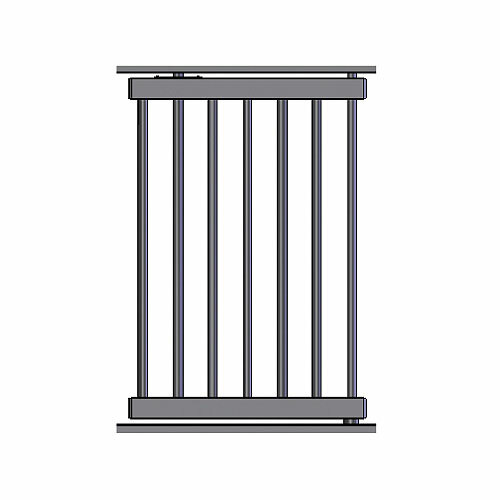 With a simple pull of the bar, the feed door opens-and-closes smoothly and quietly. 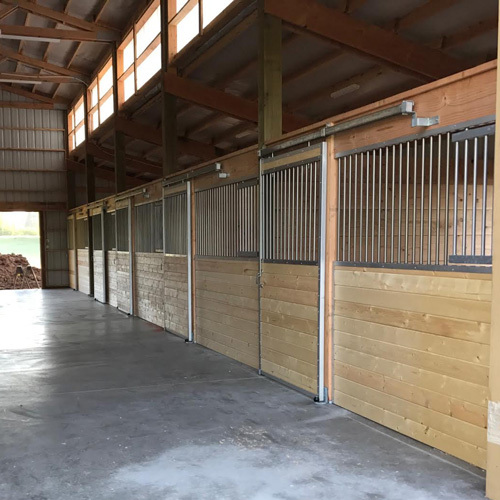 There is no “latch” for horses to open or break. 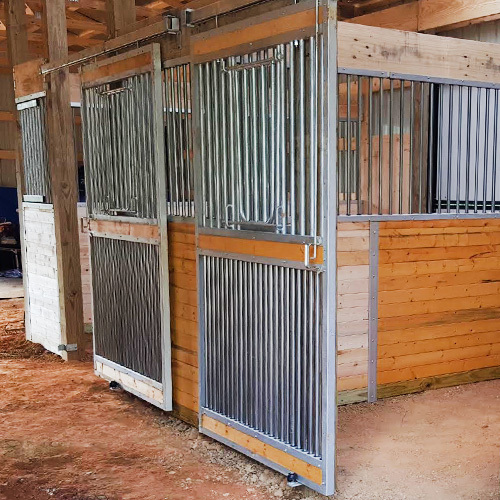 RAMM’s feed doors replace a few of the stall front bars, but do not weaken the front at all. 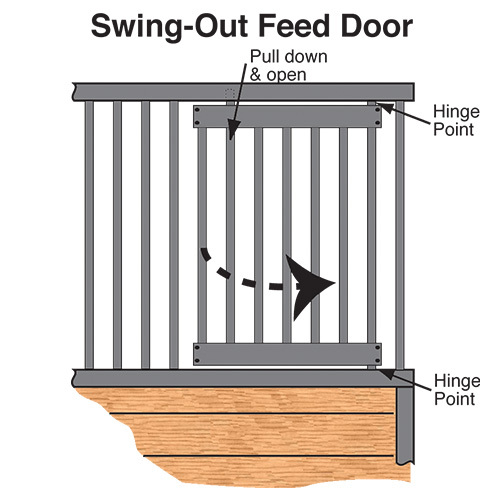 In fact, our feed doors are so strong you can hang on them. 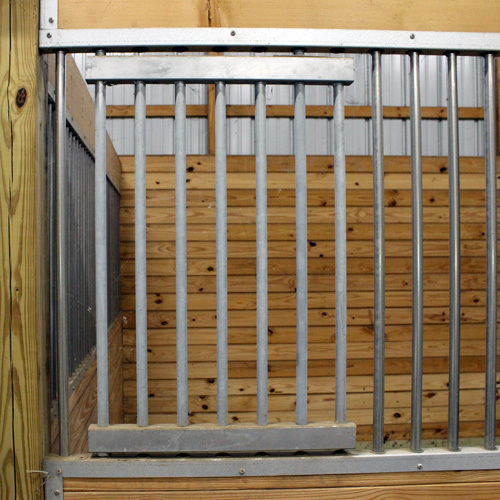 *Note: You have to remove seven bars out of your Essex standard stall front grill work to install the feed door.